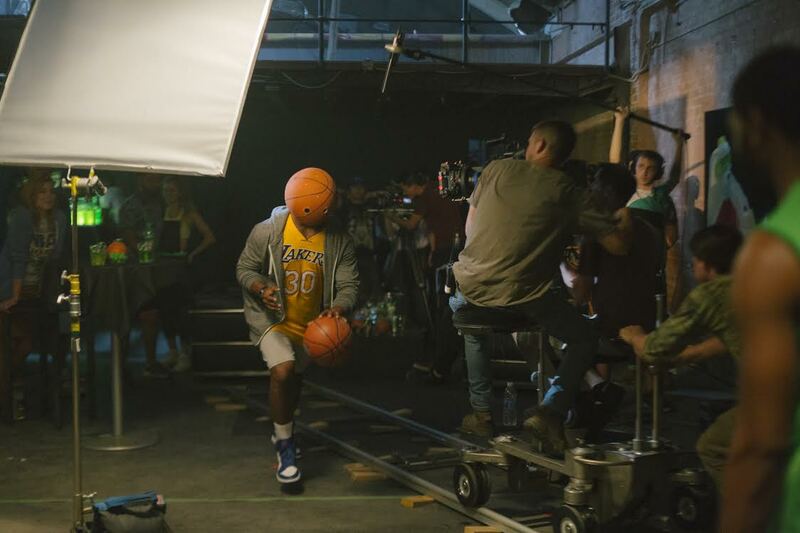 Pepsico recently invited students from the School of Cinematic Arts to create short films for its Pepsi and Mountain Dew brands, with the winning films going live on YouTube and Facebook this summer. Twenty-three teams (comprised of 67 students) threw their hats in the ring and got the chance to pick. Mountain Dew selected A True Fan Finds a Home written and directed by Nathanial Alexander and produced by David B. Breschel and Ariel Heller. Pepsi selected The Story of Beth Hooper directed by Steven Robbins, written by Nicolas Curcio, and produced by Sarah Gross and Lareina Joelle. While this is the first time SCA has teamed up with Pepsi and Mountain Dew, students have made promos for international brands before, mostly from entering contests. “SCA has a history of doing contests,” said Faculty supervisor, Brenda Goodman, Professor in the John Wells Division of Writing for Screen & Television. “These contests are great because it is a great bridge between the student and professional world.” The most high profile of these contests is for another Pepsi Co. brand, Doritos. In previous years SCA alums like Scott Zabielski and JK Burningham have won the Doritos “Crash the Superbowl” contest-, which gave their careers a high profile boost. The Pepsico opportunity allowed the students to have a real-world experience in trying to land a project. Ariel Heller,-Producer of A True Fan Finds a Home, said his team had an overall positive experience pitching in front of CAA and Mountain Dew executives, “We went in and left happy to say everything that we wanted to say. Everyone was super talented and we left the meeting knowing that the pitch went well, despite the outcome.” CTPR 546 Production III Fiction, an intensive workshop course, prepared the students to pitch and both the Pepsi and Mountain Dew groups thought they were well prepared. During the course the students pitched their ideas in front of a panel of professors and received critique on everything from the execution of their pitch to the idea itself, giving them a dress rehearsal before they moved on to the official pitch.